Online teaching is easier than you think, and there are opportunities all around you, all across the country. The higher education industry is modernizing by offering and increasing online courses and degree programs. Some colleges are even completely online, attracting traditional students and non-traditional students alike. 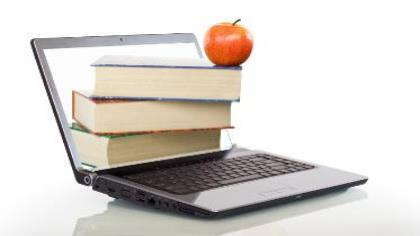 Completing college coursework online is ultimately a matter of convenience. The same benefit applies to teaching online. And you don’t even have to have a teaching background or experience to get started. While every community college has its own guidelines, here are the basic requirements you’ll find across the country. While you don’t need a degree in education, you will need a master’s degree. If you have a doctorate, that’s even better. The focus of your degree doesn’t have to be precisely what you will be teaching, but it can help you get hired faster. In addition to earning your master’s degree, you will need to have a specified number of upper division credits that directly relate to the courses you’re applying to teach. The specific number of upper division coursework required will vary with the community college, but you can expect that number to be between 16-20 credits. Depending on your field, you may be able to replace some of the requirements above with quality industry experience. If this is an option, it will be listed in the online job posting, but it doesn’t hurt to ask before applying. Now, when you’re ready to start looking for online teaching jobs for community colleges, going directly to a college’s hiring website is a great place to start. But there are more resources available to you than that. Here are two resources that can take your search to the next level. At any given time, HigherEdJobs.com has over 2,000 teaching jobs listed. Not all of these are online teaching opportunities, but many of them are. Just specify the field you want to teach and start your search. You may have to sort through the results to find the online or remote jobs. This resource offers fewer online job postings, but it’s easier to find the ones you want. The homepage has a link specifically for online teaching jobs, which can streamline and simplify your job search. Teaching online is becoming more and more common, and it won’t slow down anytime soon. Getting into this industry now may offer you many years of online work. Not only will you have more work, but teaching can give you fulfillment that you can’t get from other jobs.